This notice applies to Sterling Specialty Pharmacy and all other SterlingRx, Inc., pharmacies located in Minnesota. As part of the federal Health Insurance Portability and Accountability Act (HIPAA), this notice describes how Protected Health Information (PHI) about you may be used and disclosed and how you can get access to this information. Please review it carefully. You can ask to see or get an electronic or paper copy of your medical record and other health information we have about you. We will provide a copy or a summary of your health information within a reasonable time. If you ask to see or receive a copy of your record for purposes of reviewing current medical care, we may not charge you a fee. If you request copies of your patient records of past medical care, or for certain appeals, we may charge you specified fees. You can ask us to correct health information about you that you think is incorrect or incomplete. Contact the privacy officer, below, to do this. We may say “no” to your request, but we’ll tell you why in writing within 60 days. You can ask us to contact you in a specific way (for example, home or office phone) or to send mail to a different address. We will say “yes” to all reasonable requests. If you pay for a service or health care item out-of- pocket in full, you can ask us not to share that information for the purpose of payment or our operations with your health insurer. We will say “yes” unless a law requires us to share that information. You can ask for a list (accounting) of the times we’ve shared your health information for six years prior to the date you ask, who we shared it with, and why. We will include all the disclosures except for those about treatment, payment, and health care operations, and certain other disclosures (such as any you asked us to make). We’ll provide one accounting a year for free but will charge a reasonable, cost-based fee if you ask for another one within twelve months. You can ask for a paper copy of this notice at any time, even if you have agreed to receive the notice electronically. We will provide you with a paper copy promptly. - If you have given someone medical power of attorney or if someone is your legal guardian, that person can exercise your rights and make choices about your health information. You can complain if you feel we have violated your rights by contacting the privacy officer, below. You can also file a complaint with the U.S. Department of Health and Human Services Office for Civil Rights by sending a letter to 200 Independence Avenue, S.W., Washington, D.C. 20201, calling 1-877- 696-6775, or visiting www.hhs.gov/ocr/privacy/hipaa/complaints/. We will not retaliate against you for filing a complaint. We can use your health information and share it with other professionals who are treating you only if we have your consent. We can only release your health records to healthcare facilities and providers outside our network without your consent if it is an emergency and you are unable to provide consent due to the nature of the emergency. We may also share your health information with a provider in our network. 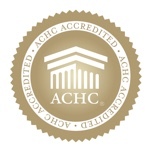 We can use and share your health information to run our practice, improve your care, and contact you when necessary. We are required to obtain your consent before we release your health records to other providers for their own healthcare operations. For health research, if you do not object. As required by state or federal laws, including with the Department of Health and Human Services if it wants to see that we’re complying with federal privacy law. For the purpose of procurement, banking, or transplantation of organs, eyes, or tissue for donation purposes, only with your consent. With a coroner, medical examiner, or funeral director when an individual dies. We need consent to share information with a funeral director. For law enforcement purposes or with a law enforcement official with your consent, unless required by law. - With health oversight agencies for activities authorized by law. For special government functions such as military, national security, and presidential protective services with your consent, unless required by law. In response to a court or administrative order, or in response to a subpoena. In Minnesota, we need your consent before we disclose protected health information for treatment, payment, and operations purposes, unless the disclosure is to a related entity, or the disclosure is for a medical emergency and we are unable to obtain your consent. We are required by law to maintain the privacy and security of your PHI. We must follow the duties and privacy practices described in this notice and give you a copy of it upon request. We will not use or share your information other than as described here unless you tell us we can in writing. If you tell us we can, you may change your mind at any time by notifying the privacy officer, below, in writing. 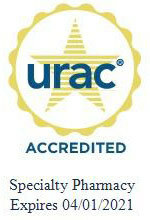 Sterling Specialty Pharmacy, c/o SterlingRx, Inc.